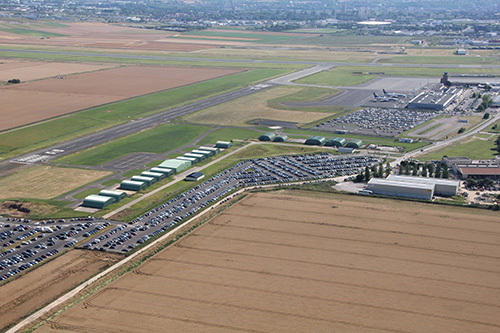 Beauvais Airport has contracted with ParkCloud to deliver online reservations for its car parks. Located to the north of Paris, the airport has seen its passenger volume grow by almost 20 times since 1997, to become the 9th busiest airport in France. Passengers making use of the airport travel from a wide catchment area, making parking a necessity for most. Official parking options will be directly marketed to virtually all of the airport's passengers, through ParkCloud's partnerships with Blue Air, Wizz Air and Ryanair, alongside ParkCloud's existing database of more than half a million registered customers. Moreover, the airport will offer those using its website the possibility to make their parking booking using ParkCloud's >Direct product. The airport's two terminals catered for almost 4 million passengers in 2013, travelling to more than 60 destinations across the whole of Europe, from Oslo to North Africa and Shannon to Chisinau. Low cost flights and value parking go hand-in-hand, and so the airport's economy P4 car park with 2,500 spaces is the first to be promoted via the new sales channels. The contract with ParkCloud sees the first time that Beauvais Airport's car parks have been available to book online. Demand has been strong from the start, with several hundred parking booking days sold within days of the launch of the service.